Have you been injured in a car accident in Walker County? While the driver has rights of their, you also have rights as a passenger and you can hold the negligent party responsible for your injuries. This can be difficult however, without the help of an experienced Jasper personal injury lawyer to protect you rights. As an accident victim, you need an attorney who will keep your best interests at heart and work to recover the full settlement that you are legally entitled to. If you are looking to exercise your rights as an injured passenger, our firm can help you establish the liability and negligence of the party at fault. Our legal team takes an aggressive approach when dealing with insurance companies and we will not settle for less than what you deserve. If you are looking to maximize your injury claim, then contact Warren & Associates, LLC without delay. By familiarizing yourself with Alabama personal injury law, you can only increase your chances of obtaining a fair settlement. As an injured passenger, it is vital that you understand your rights under the law and how they pertain to your case. 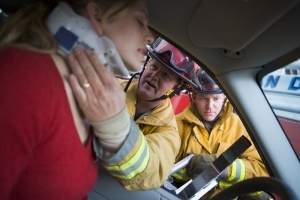 The majority of passenger injury cases are geared towards the driver of their own car. If the driver of your vehicle was driving negligently, speeding, driving under the influence, running stop signs, or just be inattentive to the road, then you have the right to file a claim with their insurance company. Many passengers come to us and are leery about filing a claim if the driver was a friend or family member. It is important to remember that you are not taking actions against them personally- rather you are seeking compensation from their insurance. Their insurance provider is paid to compensate any individual that they inadvertently injure so that you are not stuck paying for your own medical bills, physical therapy expenses, and lost wages. If it was someone close to you that caused the accident, they may insist on paying for your expenses and avoiding insurance involvement completely. The danger with this is what happens if they don't follow through with their word, or they have difficulty making all the payments? It is always wise to file a personal claim so that you are fully reimbursed for any physical or financial damages that you suffered. With the help of Jasper car accident lawyer, you can assert your rights as a passenger and obtain justice and compensation for your injuries. Looking for a lawyer for a car accident in Walker County? If you have been injured in a serious car accident, or you have lost a loved one due to a negligent driver, then you have passenger rights under Alabama law. Here at Warren & Associates, LLC, we are dedicated to protecting accident injury victims and we are here to help you and your family through this difficult time. We believe that it is a true privilege to represent personal injury victims and place high value on exception customer service. Our firm is 100% client driven! We have handled countless of car accident injury claims and we will work to obtain the most favorable outcome for your case. Our legal team has 23 years of trial experience and we know what it takes to obtain a fair settlement. We can act as your legal lifeline and walk you step by step through the filing process. Let us take care of the paperwork and the insurance companies, so that you can focus on getting well. Our firm offers a free case evaluation so call today at (205) 221-1044. Contact a Jasper car accident attorney from our firm today to get started on your case!